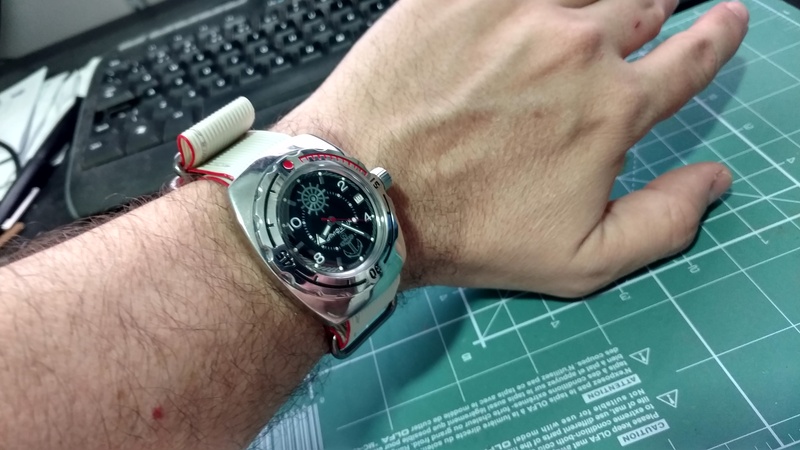 Just saw this awesome homemade NATO strap made by reddit user diamened – they took an old IDE flat hard drive cable, clued some rings into it, and fashioned a trendy looking strap for their Vostok diver. Check out the original thread on reddit here. Many people are asking for a tutorial on doing one yourself, but as of this writing, diamened has yet to deliver.